VIP house insurance - Save at least 30% on higher value properties, call 965275727 Now. IF YOUR EXISTING INSURANCE POLICY PREMIUM FOR YOUR HOUSE, HOME, HOLIDAY HOME OR VILLA IN SPAIN EXCEEDS €1,000 - WE GUARANTEE TO SAVE YOU AT LEAST €300 ON A LIKE FOR LIKE POLICY. HOW CAN WE SAVE YOU SO MUCH MONEY? 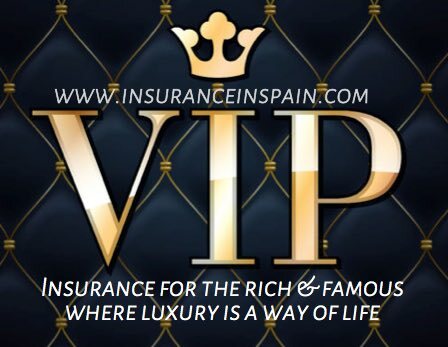 www.insuranceinspain.com have teamed up with Spain's leading insurance company to provide you with a bespoke house insurance policy that knocks the spots of all our competitors and is exclusive to us. You can't get this anywhere else! We understand the need for the correct cover on any house insurance policy, not just for the re-building costs, but for the house contents insurance as well. Accidental damage is an important factor if you have expensive items such as large screen televisions, antiques and works of art. You want to ensure that they are properly protected in the event of a natural disaster, theft or vandalism, or an accident around the house. Many of our client's rent their expensive properties to executives and private companies and need to be sure that the contents such as furniture, antiques and collectables that adorns the property, and any liability are properly covered. In today's world, with litigation on the increase, having that knowledge that you are properly protected will give you that peace of mind. 24 hour 365 day Emergency call out service & backup. Insuranceinspain believe that these unique, exclusive policies are just a part of the insurance cover and protections that we can provide. Our Insurance provider will be there for you when you need them most as they also provide you with a 24 hour 365 day emergency call out service and our professional, multilingual team will be on hand to help with any claims. This service is also available to you if you do not live in the property and/or if the property is designated as a rental property. Calling out an emergency plumber or electrician due to a breakdown or fault will get the repairs done quickly and protect your property from any further damage. Imagine if you had a burst pipe under the property or patios? A nightmare when you already have guests staying in the property. This service will respond quickly, get the repairs done professionally, replace any damaged goods or components and render the area good, as well as matching the aesthetics of the property and leave it all nice and clean. THIS IS AN EXCLUSIVE PRODUCT AND ONLY AVAILABLE IN SPAIN THROUGH US. This is a specialised insurance product only available for properties that have an existing insurance premium in excess of €1,000. We recommend that you call us directly on 0034 965275727 for a personal consultation. Our staff will be happy to provide a personal consultation and examine your property insurance requirements and advise on the proper and correct insurance for your property. Having the correct house insurance cover in Spain will save you money in the event of you making a claim. If your house, home, holiday home, villa or residential property insurance premium is less than €1,000 we can still save you money on a like for like policy but we will be unable to GUARANTEE a minimum saving of €300. Please contact us for details.